Water based, sprayable, translucent, conductive paint with a slight blue tint. Conductive Top Coat is pre-mixed and ready to spray. Conductive Top Coat (CTC) is to be sprayed with the fluid needle completely closed and with 4 half turns out. (see spray gun set up video at LumiLor.com/training for a demonstration). The CTC will have an almost translucent navy blue color before being applied. If it has a coagulated to solid appearance, it is unusable and should be discarded. CTC must be applied in an even and consistent manner. DO NOT allow Conductive Top Coat to freeze. Always make certain the substrate area around the desired LumiLor area is masked off at this step as the CTC is a conductive material and will carry power whenever applied beyond the desired LumiLor area. CTC will foam if shaken vigorously; allow foam to settle before proceeding. Attach to the connectors that are now attached to the substrate. Note: The large inverters are always attached to the substrate connectors before they are attached to the power supply, and are be unplugged in the opposite order; unplug inverter from power supply first then unplug the inverter from the substrate connectors. 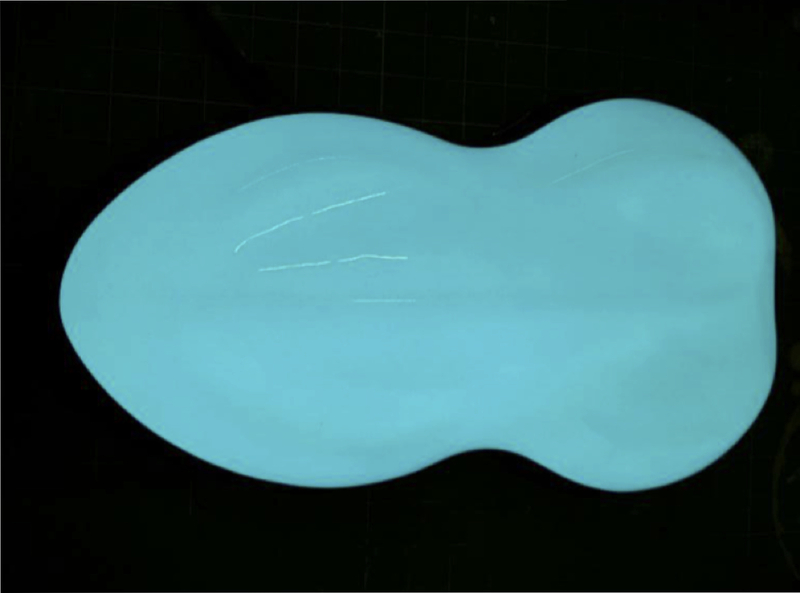 Spray a medium wet coat of Conductive Top Coat over the entire substrate where LumiLor has been previously applied with a 50% to 75% overlap. 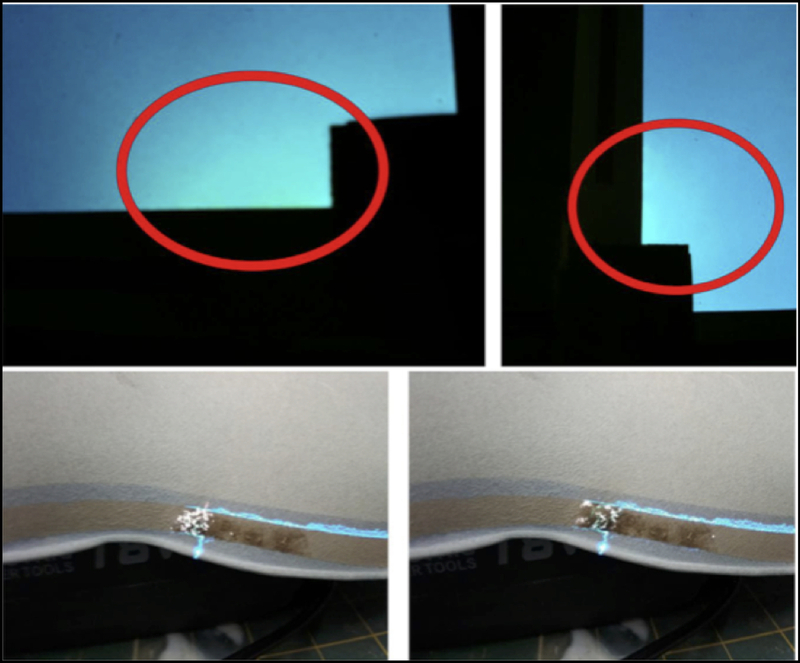 Immediately after the Conductive Top Coat has been applied, turn off the normal house lights and began to dehydrate the Conductive Top Coat with a heat gun. Initially you will notice a thin illuminated area closest to the busbar. Once the Conductive Top Coat starts to fully dry the entire area where the backplane is located will start to illuminate. 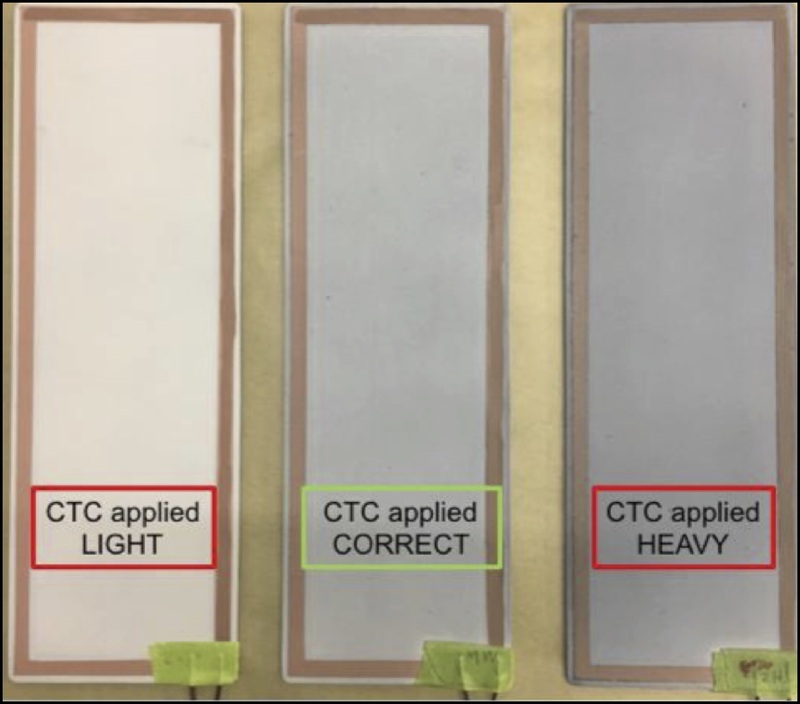 NOTE: The LumiLor light may fade away during the dehydrating process before it fully lights, keep dehydrating the CTC with a heat gun until the light comes back and fully illuminates. 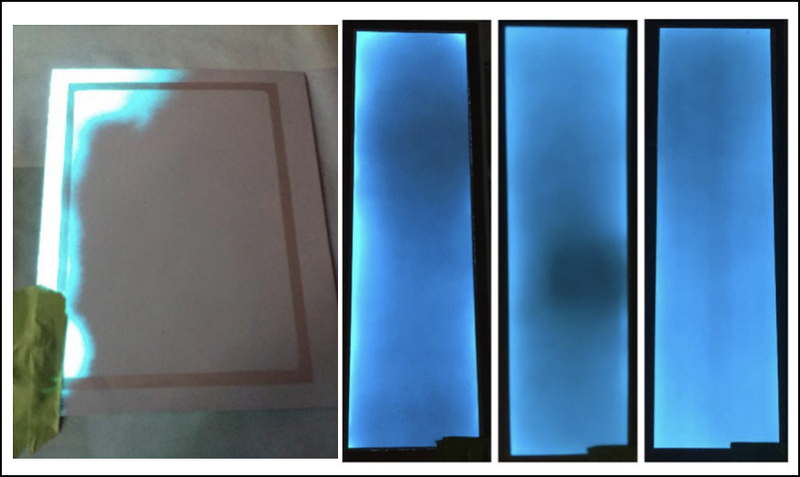 If, after the LumiLor fades away and comes back after dehydrating, the LumiLor still does NOT fully light then apply a second medium wet coat over desired surface and dehydrate with a heat gun. After the entire area is illuminated, turn the normal house lights back on and inspect around the connection site that there is no burning or discoloration. Keep LumiLor under power for at least 30 minutes before moving on to insure no burning and proper material coverage. If no burning or discoloration is taking place, then turn the inverter off and the illumination process is complete. Remove masking tape from connection site. Wait a minimum of 1 hour and no more than 24 hours before application of encapsulating clear. Clean up (water based) - Clean any used containers and/or spray guns with water and rinse with acetone. Conductive Top Coat - Burning around edges. Will generate heat. Cause - Insufficient insulation; dielectric applied too thin. To Avoid This - Apply proper thickness of dielectric according to instructions. To Avoid This - Apply Conductive Top Coat to according to guidelines.